The Record FlipFlow access lock offers a high level of security with a wide range of applications. The user-friendly one-way traffic safety system provides a high throughput volume without hindering access control. 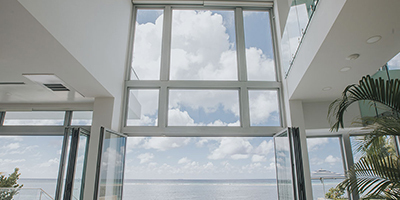 With advanced detection and control technology and integrated functional and reliable barrier components, FlipFlow offers security and safety in a practical, modular construction. 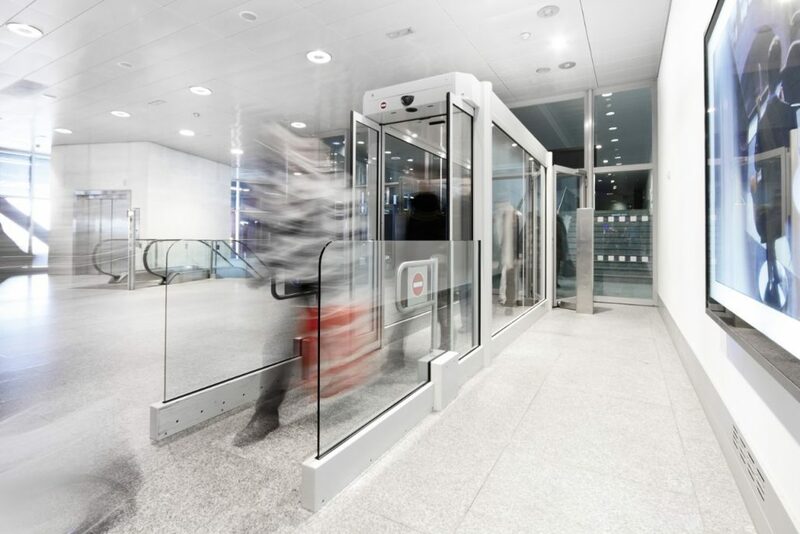 Glass tunnel with one pair of automatic doors and intelligent sensors – The Record FlipFlow offers a high security level for a wide range of applications. 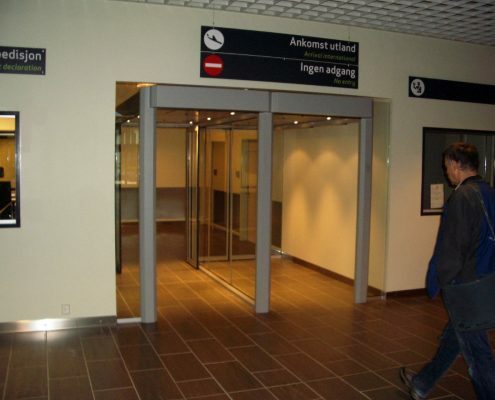 The user-friendly one-way traffic safety system provides a high throughput volume without hindering access control. Conduct pedestrian flow in one direction with an effective anti-return function. Provides optional detection of non-moving objects. 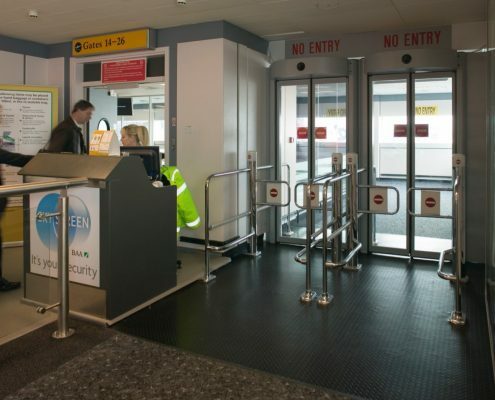 Effective barrier for the separation of protected and non-secured areas, such as at a border between air-side and land-side. 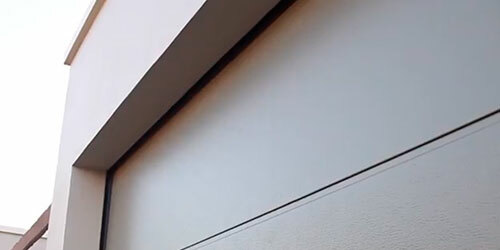 Efficient and economical anti-access system with high security functions. Easily accessible for the disabled. 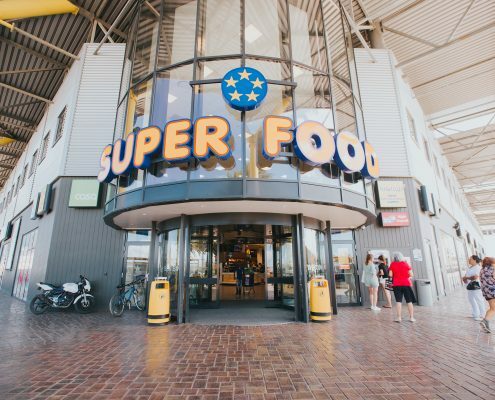 Glass tunnel with two pairs of automatic doors and intelligent sensors – The Record FlipFlow offers a high security level for a wide range of applications. 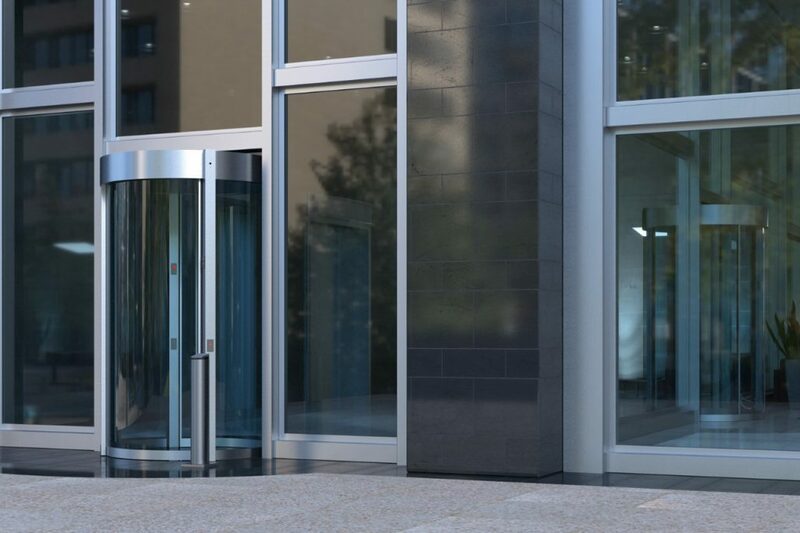 The user-friendly one-way traffic safety system provides a high throughput volume without hindering access control. 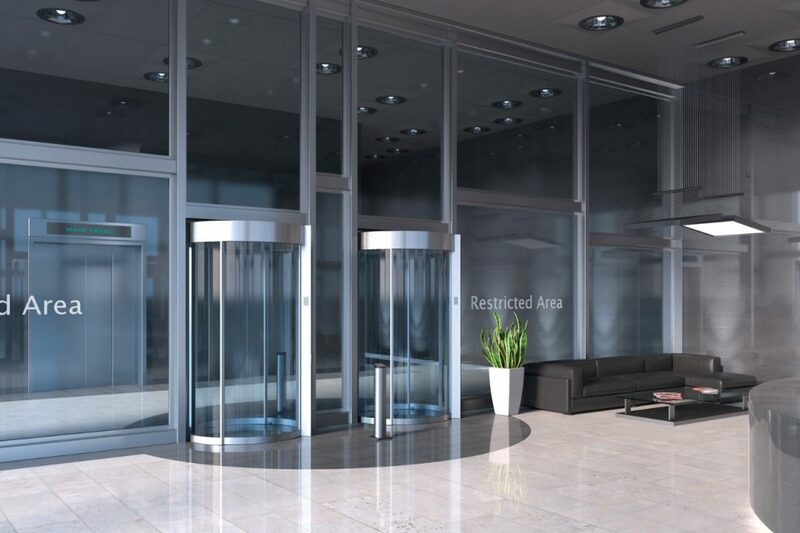 The Record FlipFlow TWIN / TRIPLE version offers the highest level of security by using a range of infrared sensors in combination with volumetric detection to prevent unauthorized access. The sensor system also scans the interior of the tunnel to detect the presence of objects left behind or to prevent the passage of objects through the passage. 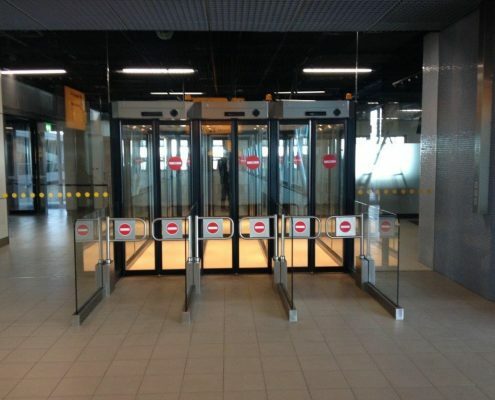 Ensures an efficient flow of pedestrians (passengers) in one direction while preventing the backward or unauthorized access from the unsecured side. 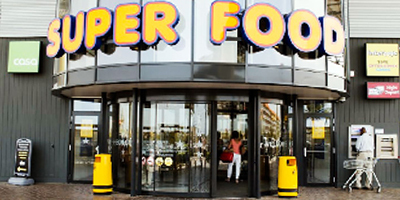 Optional function: control of the interior to prevent the passage of objects to the protected side and to detect abandoned objects in the walk-through area. Effective barrier for separating protected and non-secure areas. As a boundary between air-side and land-side as well as a transition area to secured zones. 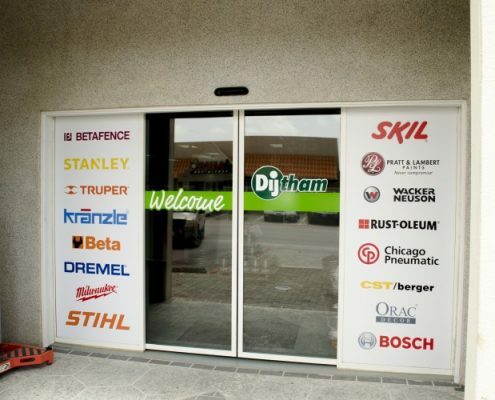 High security, anti-access system with maximum security functions. 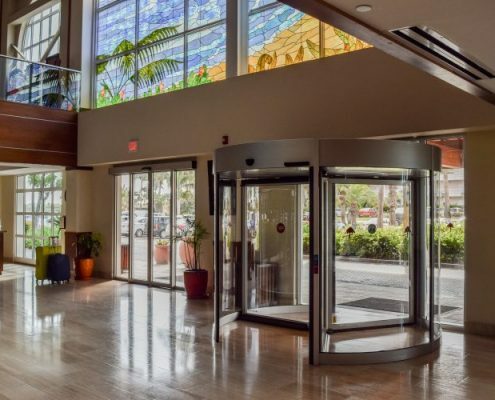 Glass tunnel with three pairs of automatic doors and intelligent sensors – The Record FlipFlow offers a high level of security for a wide range of applications. 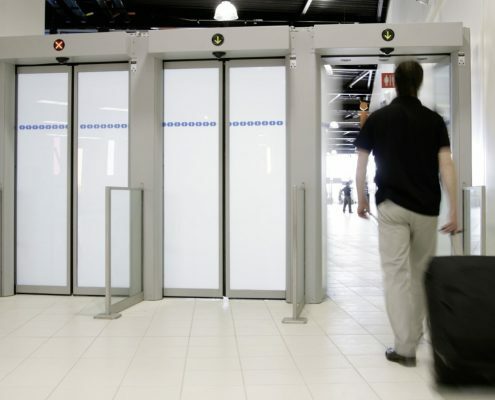 The user-friendly one-way traffic safety system offers a high throughput volume without hindering access control. 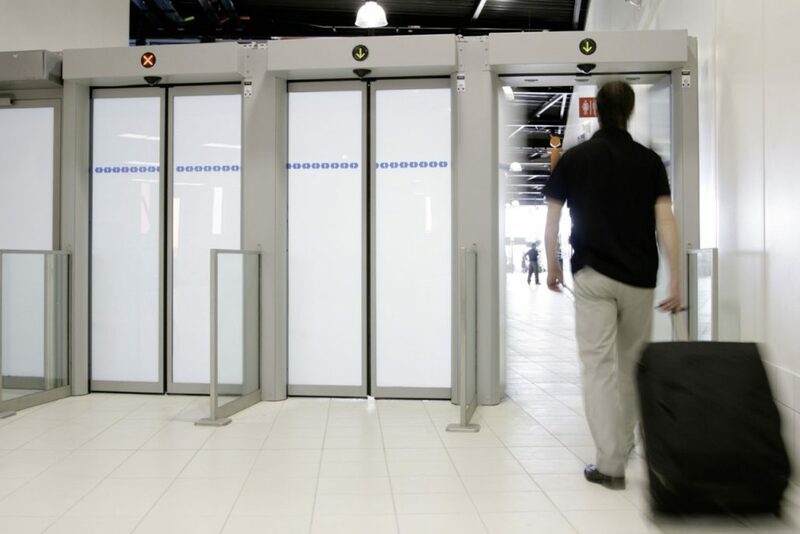 The Record FlipFlow TRIPLE version offers the highest security level by applying a range of infrared sensors in combination with volumetric detection to prevent unauthorized access. 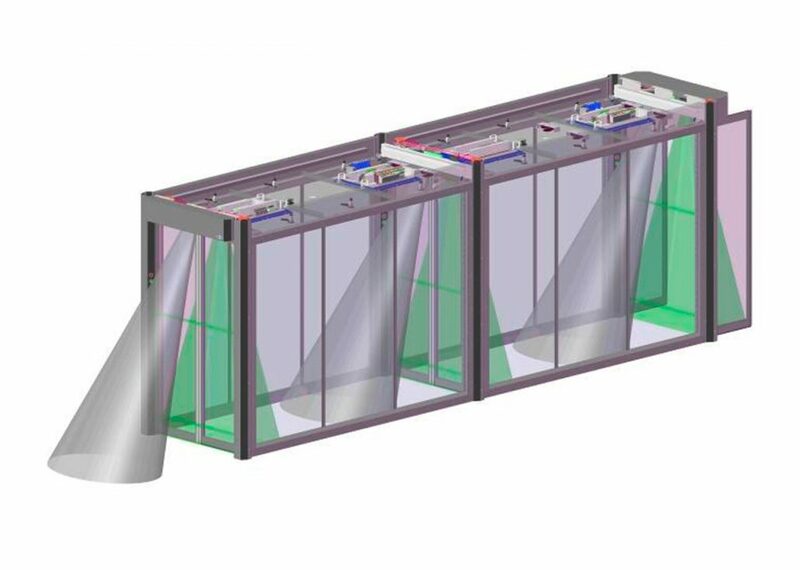 The sensor system also scans the interior of the tunnel to detect the presence of objects left behind or to prevent the passage of objects through the passage. 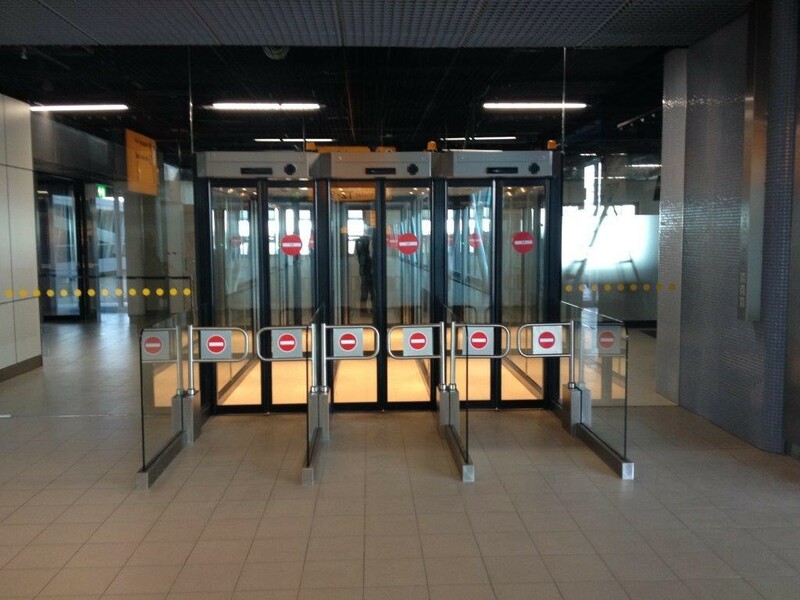 Larger port with one pair of automatic doors, sensors and lateral guides – The Record FlipFlow offers a high security level for a wide range of applications. 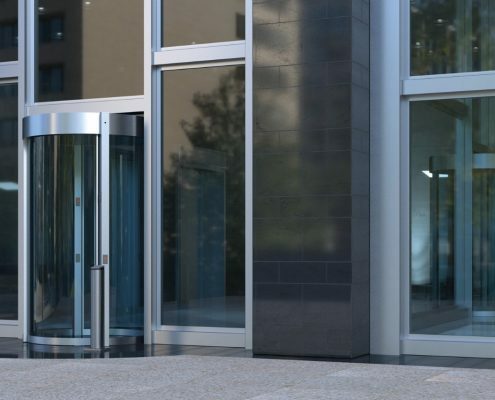 The user-friendly one-way traffic safety system provides a high throughput volume without hindering access control. Prevents access from the non-secure side to the secured side. 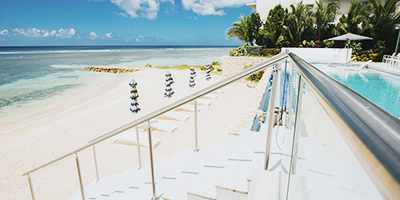 Ideal after collecting the luggage, leaving the customs or for use as a secure emergency exit. 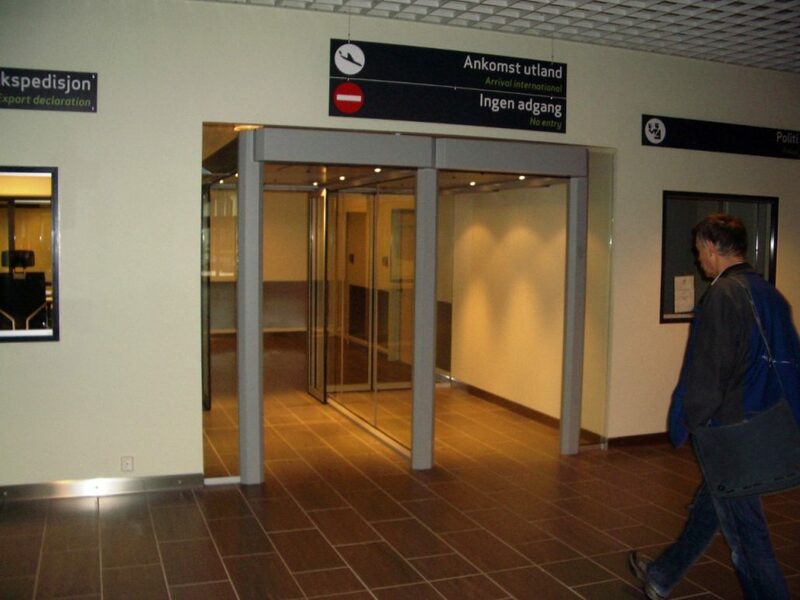 Simple and economical anti-entry system for medium safety requirements. 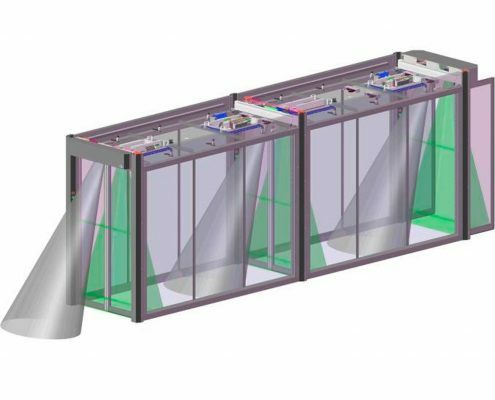 With advanced detection and control technology, integrated with functional and reliable barrier components, the FlipFlow offers security and safety in a practical, modular construction. The unobtrusive style does not impede pedestrian flow. The structural design is robust and easy to maintain. 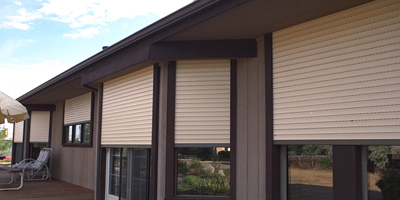 The system provides security and safety at the desired level. 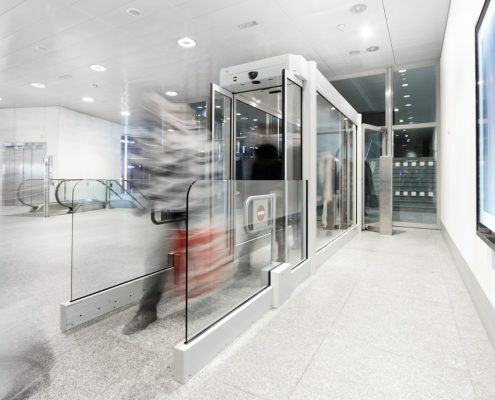 Record R 62 Security lock with intelligent access control system and a range of security levels – This cylindrical lock with circular sliding doors offers a high level of access control for a complete control of the passenger flow. 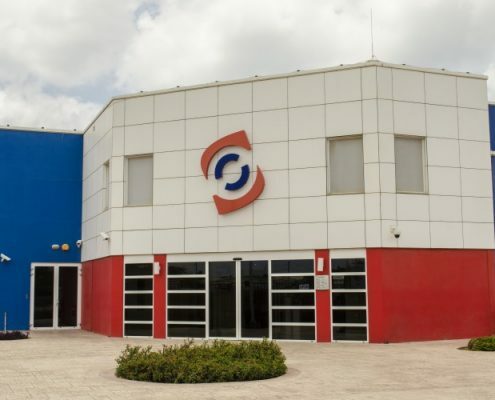 The interaction between advanced technology and proven building techniques enables safe and secure access control for vulnerable and specially protected areas, such as banks, airports and similar environments. 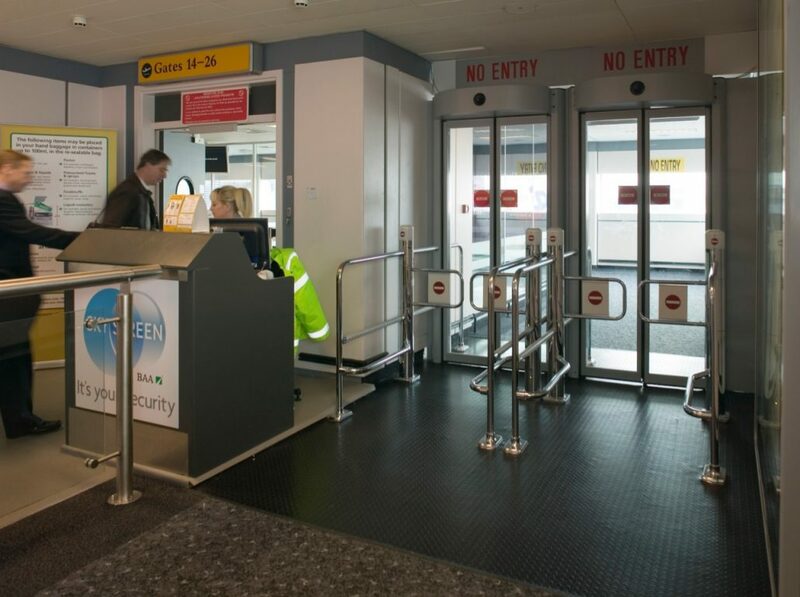 The control logic of the Record R 62 is based on the Record FlipFlow, a security lock that is designed to control the flow of people and that has been used worldwide in many airports for many years. 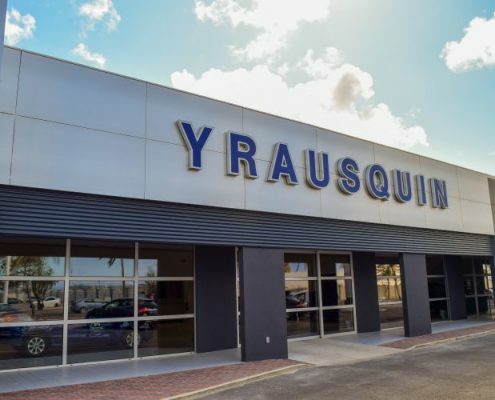 For this reason, the design and development of the Record R 62 is closely linked to the product family and thus benefits from the synergy in design and development. 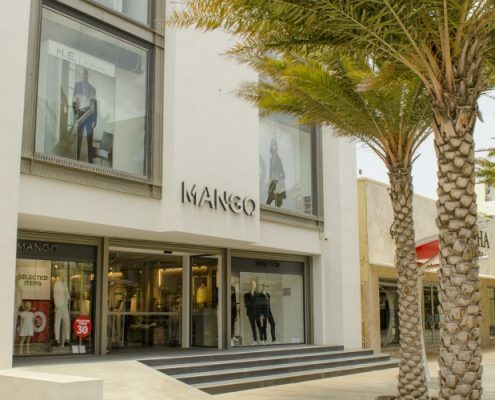 In addition, the uniform layout of the operation and maintenance is maintained. The Record R 62 is essentially modular in design with adjustable security levels. 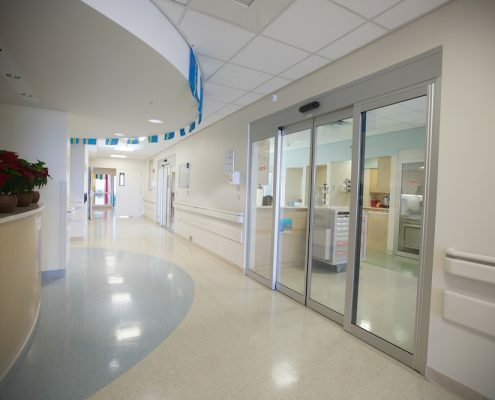 It can be used as a lockable automatic round sliding door, but also offers the possibility to check access with the highest reliability using contact mats and / or a 3D camera. These measures prevent so-called tailgating and piggybacking. 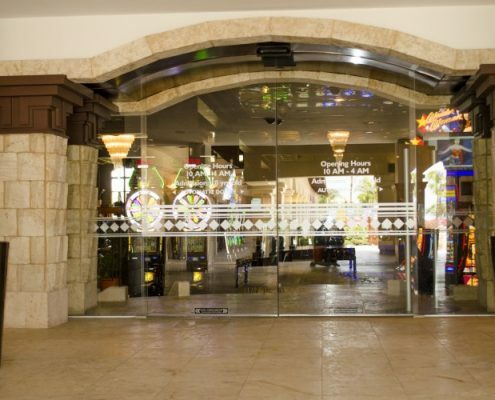 This ensures that only one person can pass through the entrance lock at a time. 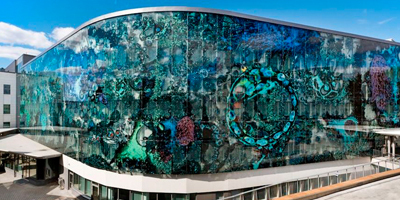 The operating status and the many settings of the Record R 62 can be linked to the building management system. Optional 16 relay outputs are available for this. 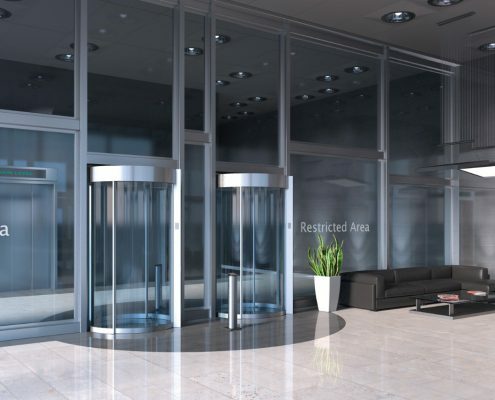 Automatic revolving door in steel finish – With the CLEAN revolving door system DST, the door leaf and all visible parts are made of stainless or galvanized steel. 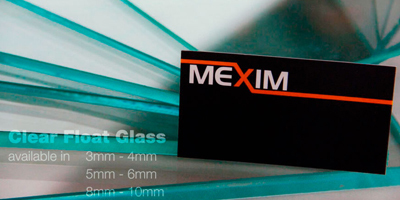 Fully covered with 1.0 mm, four sided stainless steel value 1.4301, polished 240 grains; Surface without visible seams.